From the time it became the biggest search engine player on the block, Google has been trying to thwart marketers who game the system and try to manipulate search results. They crack down wherever they can, and one area they try to minimize is the searcher having to see dozens of websites on page 1 that all have the same exact content. 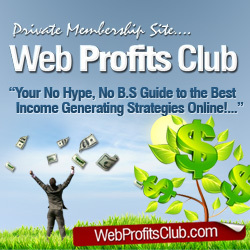 Private label rights have always been wonderful tools for Internet marketers. It gives you well-researched, organized, readymade content at a fraction of the price. But if you and hundreds of others are buying the same content – and Google isn’t showing identical results for page after page, how can it still benefit you? The key is to find PLR that’s valuable enough to help you maximize your return with it. First, you have to look for quality. You can’t get a good return on your investment (even if it’s a cheap $5 pack of PLR) if the quality forces you to start from scratch without even using the PLR content at all. Good quality PLR will be well written. It should be free of spelling errors. Whether or not it’s the perfect example of grammatical prowess is up to you – many people like a more conversational tone that isn’t polished online. The most important thing next to spelling is that the thoughts in the PLR are organized in a logical format. This makes it very easy for you to rewrite or tweak with a few alterations so that you won’t be neglected when Google chooses whose web pages to show in the search results. The best way to utilize your PLR is to start with making some simple edits. Change the title of the article or eBook. Add an introduction, or edit the one that’s given to you. Do the same with the conclusion. Have a few points that you can add to the article. And change the keywords that you want to target. Some savvy marketers buy top quality, yet affordable PLR and hand it over to a ghostwriter who charges less than usual to do a simple rewrite. This ensures all your content is 100% unique – or you can give them a percentage goal to meet, like making the content 85% unique. If the PLR has content that lists several elements, but there is not a logical order they need to go in, like a list of ten fitness tips for example, then you can also rearrange those tips to make the content more unique with a new order. As with all things marketing-related, it’s those who take time to make the most out of their purchases that do the best. Lazy marketers who slap up content or use bots for every task never see their success last once Google catches on.